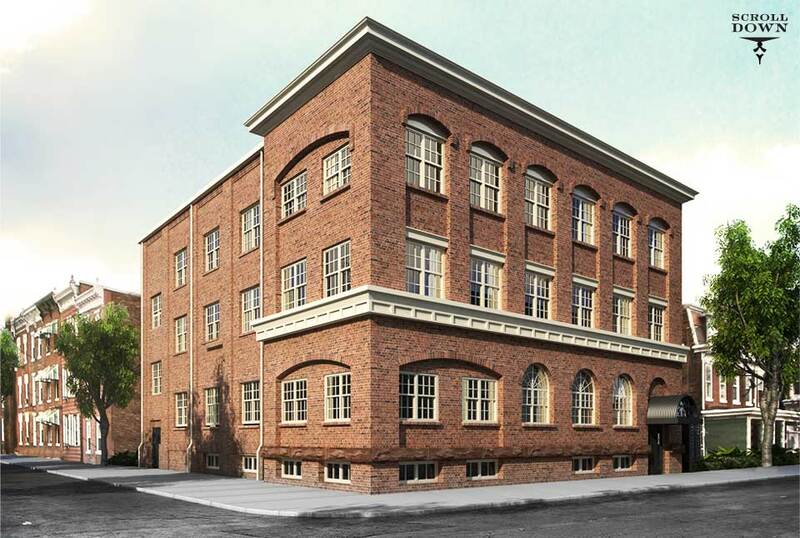 Newly renovated, this 18,000 square foot building boasts well appointed executive-style studio and one bedroom apartments located in the heart of the Olde Uptown neighborhood in Harrisburg, Pennsylvania. With its modern, open floor plan, many oversized windows, hardwood flooring, and high ceiling, you are sure to love your new apartment. Take in a show at the Harrisburg Midtown Arts Center, enjoy a cup of coffee at a neighborhood bistro, or just enjoy a stroll along the Susquehanna River. Our Harrisburg apartment rentals combine a wonderful setting with all of the amenities you expect at a price you can afford. We are currently leasing. Click the link below to apply. 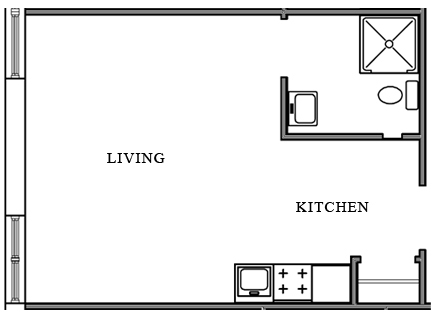 Featuring open, flexible spaces, our one bedroom floor plans provide that extra little bit of living space that you are looking for with all of the amenities you hope for. 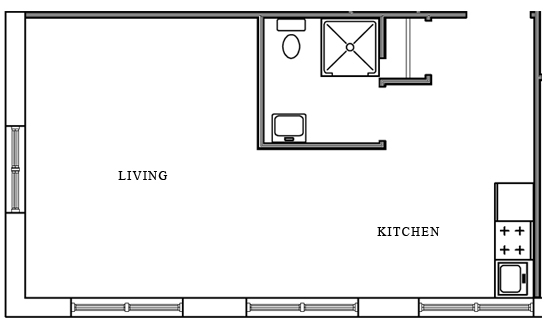 *These floorplans are representations only, and units may vary depending on exact location within the building. Located at the end of the building, each of these units boasts an abundance of oversized windows providing unparalleled natural light and a feeling of home. With its open kitchen and unique layout, these are sure to please. 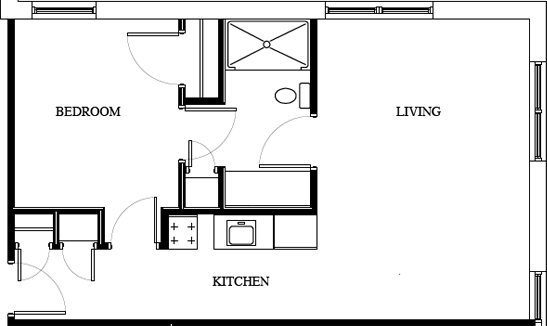 Our standard studio plan offers an open kitchen with brand new appliances, including a wall hung microwave over the range, high ceilings, and plenty of natural light, hardwood flooring and brand new bathrooms. Located within the Midtown section of the city, the Olde Uptown neighborhood is only a short distance from the city’s Riverfront Park, and within an easy walk to the Harrisburg Area Community College Midtown Campus, the Midtown Arts Center, and many other local attractions. We invite you click on the links below to visit your future neighborhood businesses and destinations.